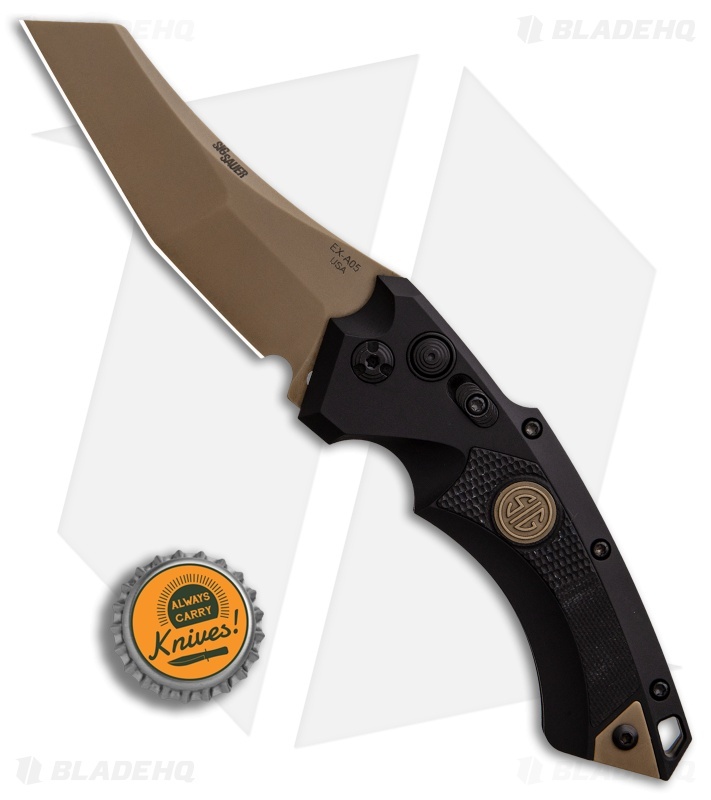 Sig Sauer and Hogue Knives have teamed up to bring you some exciting variations on some of Hogue's most popular knives. Sig Sauer is a world renowned firearms manufacturer who supplies premier weapons to military, law enforcement, and commercial users around the globe. 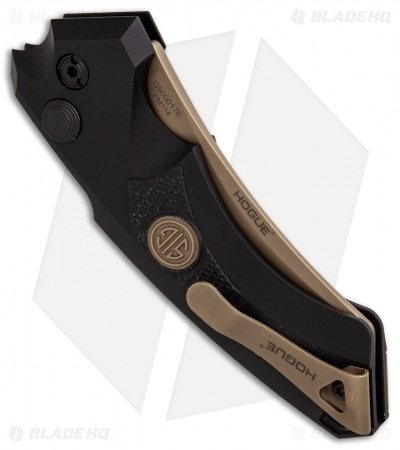 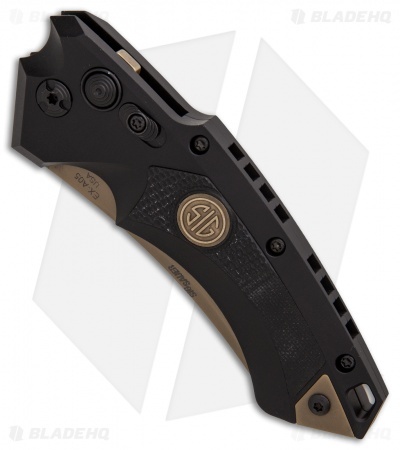 This X-A05 model is outfitted with a 3.5" flat dark earth finished wharncliffe blade and a black anodized aluminum handle with a Sig Sauer logo inlay.